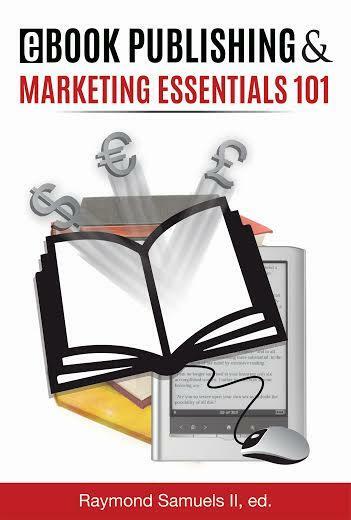 This“EBook Publishing and Marketing Essentials 101” book will walk you through the whole process of writing, editing, formatting, promoting and marketing your precious e-book. It will help you get started and ensure that you know everything you need to know while equpiing you with the skills and knowledge you need to complete your book and place it in front of readers’ eyes.You will feel good about writing and selling your work to your target audience. This book shows you how to self-publish and market your own e-book with great success. Self-publishing is fulfilling and rewarding,but it can also be an overwhelming process if you don't know what to do. This book clearly states the do's and don’ts of getting your e-book out there to a responsive audience. When you start reading this book you’ll feel confident about publishing and marketing your work among other things. At the end, you’ll be on your way to successfully self-publishing your work like many others have done. But this book is more than just a step-by-step guide about comiling your work from a manuscript to the required files worth of uploading to Amazon Kindle Direct Publishing (KDP), Smash words, iBook Author, BookBaby, Barnes, Noble PublIt, Scribd among other popular sellers’ sites.It describes ways you can utilize social media to your advantage as well as how to popularize and sell your e-book at a profit. If you want to know how to self-publish a successful digital book, this is the book to read.It shows you how to navigate through the process. It has everything you need to know to publish and market your e-book. After reading it,you will know why writing e-books is a great idea, what you need to consider when self-publishing, how to write, edit and format, how to set the rice, promote and market your e-books.